Oatmeal is one of my regular breakfast eats, and I like to mix it up sometimes and add fruits. 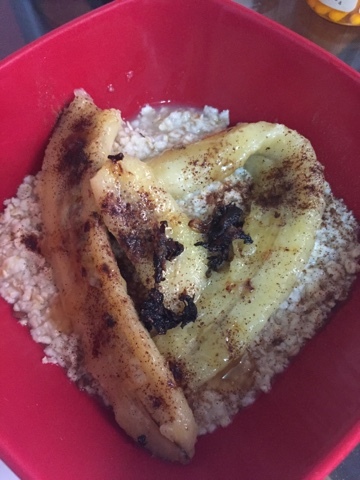 Bananas are one of my favorite fruits in general but also a favorite fruit I love to add to my oatmeal. 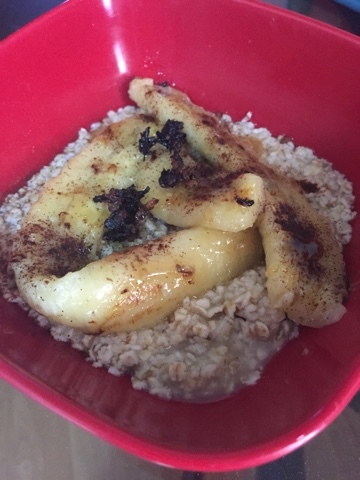 Today, I decided to grill my banana with a little olive oil, then placed them on top of my oatmeal. I then sprinkled some cinnamon and honey on top and ate every scoop! Very delicious and super healthy!